The Shrunks Outdoor Travel Bed is the ideal portable child bed for camping, family travel and outdoor adventures. Its strong, compact, slim design fits easily in camping tents and comes with rugged carry bag and handle for easy transport. 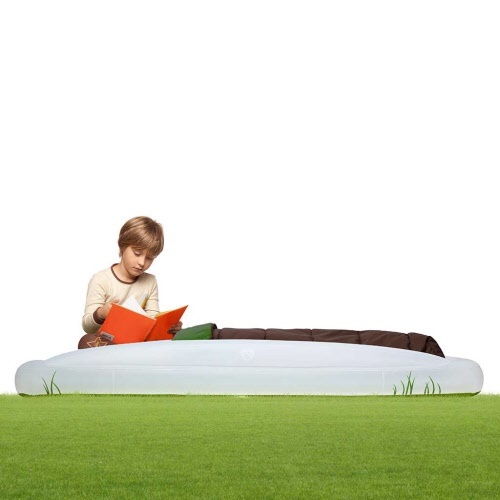 The super-comfy Shrunks indoor/outdoor sleeping bag attaches to the child travel bed by tucking the corners around the inner mattress. 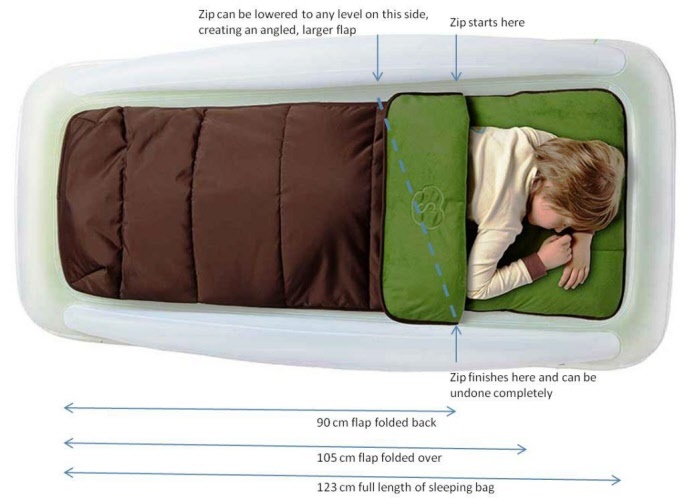 The top zippered layer of the sleeping bag is also removable. 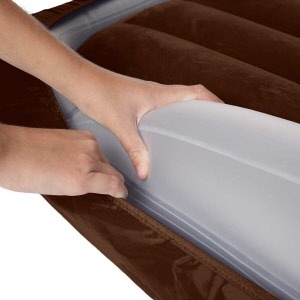 Includes a bellows pump for quick and easy inflation. 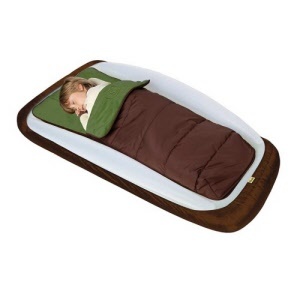 All Shrunks child Travel Beds are constructed from safe materials and are BPA-safe, Phthalate-safe and Lead-safe. 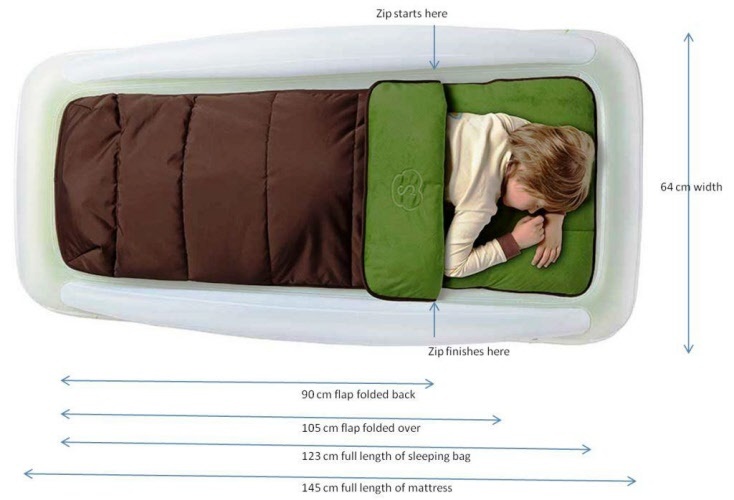 Patented rail design helps prevent a child from rolling off. Bed and Sleeping bag when packed in carry bag measure 45cm long by 25cm diameter. 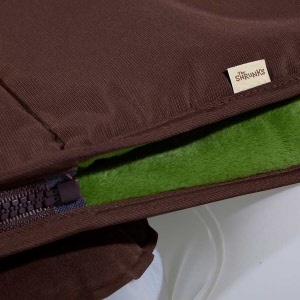 Durable, water-resistant outer shell (Nylon) and super soft, cozy fleece lining inside. 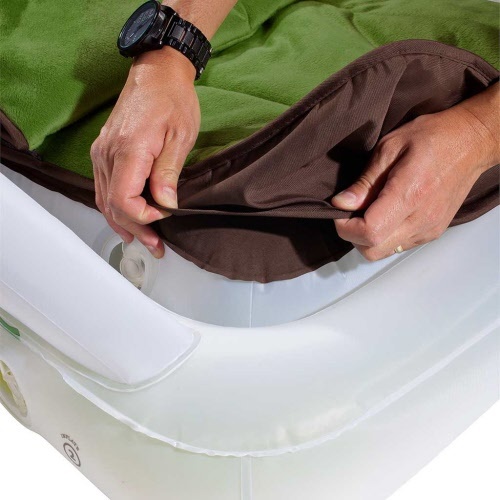 See the Sheet-tuck feature in action!